The weather this week here at Lake Del Valle has been beautiful with temperatures in the mid 40's early morning warming up into about the mid 60's during the day. The water temperature is sitting at 61 degrees this week making it difficult to catch trout. The hot bite this week has been catfish with some anglers having luck. 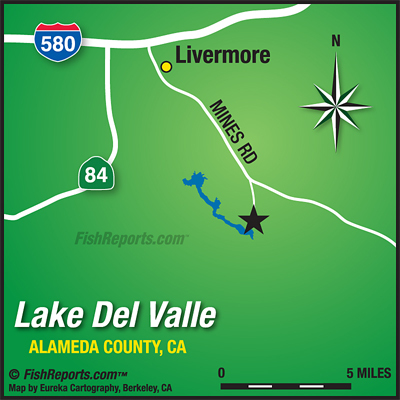 For catfish most anglers have been fishing out towards the dam and in the upper narrows. For bait anchovies always works well, I would also recommend trying either nightcrawlers or cut sardines. Stripers have been slow this week with few anglers finding boils. Most of the stripers that have been caught have been off bait, either anchovies, chicken liver or sardines. Most anglers have been telling me to fish around rock walls and deep drop offs. 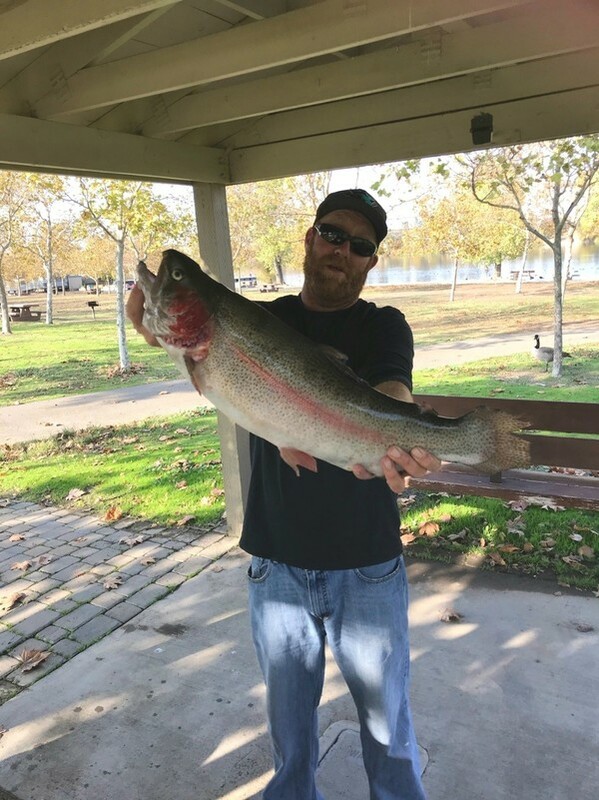 For trout it's still been a grind with the warmer water, some anglers have had luck on power bait and power eggs, I would also recommend either drifting mice tails or using small spinners and kastmasters. Most trout are going to be around sandy beaches and shallow points.